Norway is one of the most beautiful countries in the world; it has incredible nature, parks, zoos, aquariums, museums, sights, and landmarks and is a perfect destination for anyone who’s looking to create lifelong memories. If you are planning to explore tours of Norway for the first time, or are looking for fresh ideas for your next trip in the country, then this article is for you. We outline 5 ideas for your trip, to help you make the most of it. Kayaking is the best way to explore the country’s famous glacier lakes, fjords, and stunning landscape. It’s not only fun but also relaxing and adventurous. Norway presents a multitude of waters, rivers, and fjords, which makes kayaking a popular activity. Take advantage of this tour to explore and experience the magnificent natural landscape and the epic Norwegian scenery. Some kayaking options include kayaking in Flam, The Seven Sisters, Art Nouveau Kayak tours, kayak tour on the Naeroyfjord, and sea kayaking. Sightseeing the country is the best way to experience its highlights. Norway has so much to offer for your eyes; there’s the UNESCO Fjord bus tour between the Sognefjord and the Geirangerfjord, Oslo to Bergen train tour, Utsikten Viewpoint involving a bus tour from Balestrand to Gaularfjellet and enjoying dinner with a view in Bergen. You can tour the Cider Farm Route in Ulvik, Bergen Funicular Floyen to the top of Bergen, Loen Skylift, Ulriken Panorama, Mountain and tunnel in Osa and the northern light chase in Tromso. Immerse yourself in local attractions, arts, and cultures for an even better travel experience. Take time to understand the history of the country and any other detail that will be worth your memories. Museums offer educational insights into the culture and history of Norway. Examples of museum and attractions include; the Viking Ship Museum, The Kon-Tiki Museum, The Breheimsenteret, Bergen Funicular Floyen, Greg Concert and Lunch in Bergen, The Folgefonn Centre, Stavanger Art Museums, etc. Discover and explore the world of ice for an exciting and unique experience. Glacier hiking is an exhilarating activity that’s worth experiencing in your lifetime. Some of the spectacular glacier hiking in the country includes glacier walk on the Tystig glacier, glacier hiking on Folgefonna and glacier hiking on Nigardsbreen. There are thousands of kilometres of tracks, hiking and walking options to match all levels of experience and fitness in Norway. The country’s unique and picturesque view is the perfect background for a memorable experience. 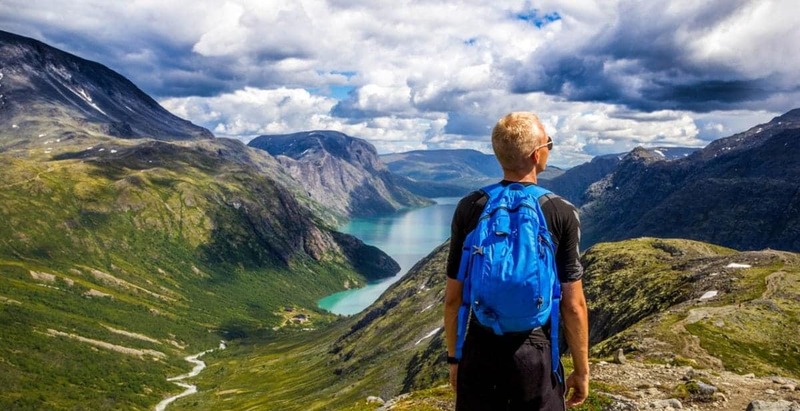 Hiking in Norway features the Classic Trolltunga hike, Pulpit Rock Autumn hike, sunrise and sunset trip, kjerag summer hike, kayak, and hiking trip, off the beaten track hike, forest to the fjord, Trolltunga Snowshoe, etc. In addition to hiking, kayaking, glacier hiking, sightseeing, museums, and attraction, you can also go on Norwegian food tours, cycling and mountain biking, whitewater rafting or dog sledding and snow tours. The best way to explore the cities and sites is by working with local tour guides because they are knowledgeable and will help point you to the best places.